It introduced me to a world of post-rock and soaring, dynamic soundscapes — and though I wasn’t necessarily unfamiliar with the latter, the Icelandic outfit took it to a logical extreme I hadn’t yet witnessed. This, I thought, was music that made me feel emotional, excited, happy, sad; truthfully, the state of emotion didn’t much make a difference, but the magnitude. As a happy teen listening to Agaetis Byrjun, the album took on a bright, shimmery light; as an occasionally angst-ridden 16-year-old, the album came in a more sad, depressed form. As a teen who avoided some of the emotional highs and lows of his peers (though I wasn’t without fault, by any means) Sigur Ros gave me something to feel when I didn’t want to worry about feeling other things. Agaetis Byrjun was as much an escape as it was a gateway drug into a convoluted world of inventiveness. It wasn’t long after I started listening to the group that ( ) was released, which certainly sped things along, but this album is what kicked it off. 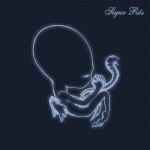 It illustrates my relationship with Sigur Ros in a necessarily convoluted way: I doubt much I could put in plain words the impact the experience has had on my musical journey, lest I delve into lines of mystical nonsense. The beautiful thing, ten years later, is that the album has held a decade-influencing impact — a decade that’s seen Sigur Ros scale musical heights with the utmost precision, clarity, and grace.